Jeff Blevins is no stranger to the community YNB serves having lived in Yukon all his life. He started his now-long banking career in 1993. Over the years he has held a variety of roles developing a diverse background in all aspects of banking. In addition to his experience in the business of banking, Jeff also graduated from Southern Nazarene University with a Bachelors in Business Management in 1999. 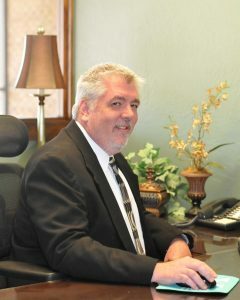 Only a few years later, Jeff began working as a lender, with a passion for helping customers get the financing they needed. Jeff joined the YNB team in 2013 as the Branch Manager and Loan Officer at YNB Mustang and continues in that role today. With a specialty in Consumer Lending he has helped countless YNB customers into the loans they needed. Whether a car, a home or even debt consolidation, Jeff has the experience and ability to help with any lending need. Visit him at YNB Mustang today!